The holidays are quickly approaching, which means sales, support, and customer service teams are scrambling to answer a flurry of customer calls, emails, and chat messages. To make matters worse, teams are stretched thin by time-off requests, shortened operating hours, and seasonal illnesses. How can a small team keep up with the heightened demand that November and December bring? 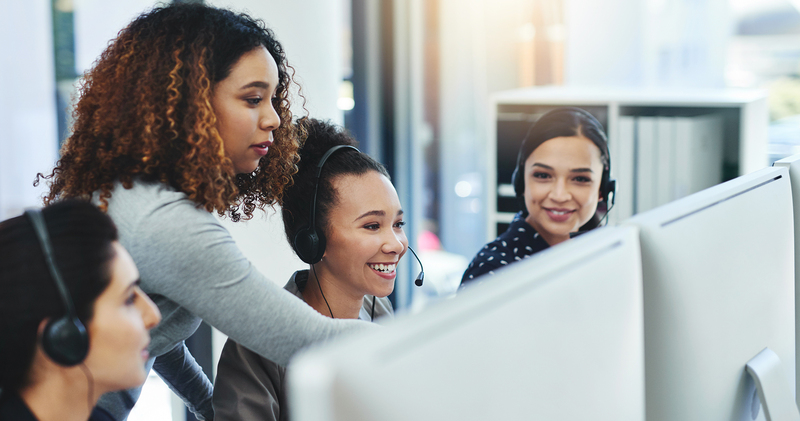 Some organizations respond by hiring seasonal employees, but this isn’t always possible when agents need advanced training or special certifications in order to respond to customer inquiries. In cases like this, the most economical way to enhance performance is to find tools that save your agent’s time for the tasks that matter most. Ken Sylvain, a rising star on our Customer Success team, has worked as a call center manager for both niche and national organizations. We tapped into his expertise this week to learn how a call center manager can assist their team through the busy holiday period. What advice do you have for a manager looking to improve their team’s quality of service? Well, when we talk improving about quality of service, we need to be clear what we’re referring to. Some teams might think of that in terms of fewer missed calls, or support tickets resolved more quickly. However, I find the best way to consider service is to view it from your client’s perspective. How can you optimize your team’s workflow to best meet the needs of the people you’re serving? One of the best ways to start this is to know more about your callers before you pick up the phone. Using something like Enhanced Caller Insights will tell you a lot about the person ringing your line – their age, location, level of education, number of children – and we’ve learned that really helps when starting that initial conversation. To smooth the caller’s flow even further, you can automatically set up a Smart Router to direct them to the person or local branch who can best meet their needs. Since we can see what ad campaign or landing page your caller found you from, we could also automatically route that call to a relevant agent within your company. Imagine calling a doctor’s office after seeing an ad for a particular cosmetic procedure, and having your call answered by the specialist who would perform it. You wouldn’t notice the technology that went into routing your call, but you sure would notice how easy it was to obtain information quickly. Your organization can route calls even more intelligently; tools like Sticky Routing will direct callers to the same agent they last spoke with, so that they feel a sense of continuity in their support inquiries. Another great way to support customers calling into your queue is to prioritize calls to veteran agents, allowing newer team members time to learn before attempting to handle many support inquiries. A good, comprehensive call automation software can track all of these encounters, while supporting your agents so that they are able to focus on the customer. What actions can a manager take to personally support their team? For starters, they could listen in on the calls that their agents are taking, to provide live support and assistance when necessary. This might look like coaching or whispering, wherein a manager can quietly provide advice to the agent without the knowledge of the caller. Or, in some cases, they may use a tool like Barge or Drop Call to take control of the conversation, and potentially shut down a deteriorating interaction. Of course, managers can’t listen in on every call, but by automatically recording and transcribing each one, they can get some insight into the quality of their agents. Keyword Spotting can take that knowledge to the next level by indicating when certain words are spoken by either the agent or caller – while dual channel recording can help you sort between both parties. Of course, these special keywords can be chosen by the manager, to provide whatever data set is relevant to their organization. How can you determine when your efforts are making an impact on your customer’s experience? The most foolproof way would be to survey your callers at the end of the interaction. The same system that allows your agents to score their calls can be utilized to walk your callers through a similar rating process. Once you layer that onto Smart Transcriptions, you’ve effectively built yourself an early “alert and review” mechanism to watch out for those buzzwords you indicated in the Keyword Spotting toolkit. While you’re setting up Keyword Spotting, take a look at what actions you can take based on the information provided. Collecting data is great, but it’s useless without a plan for what you’ll do with it. If you’re on our platform, you can set up Keyword Spotting to trigger an automated action, such as alerting a manager after a particular word is spoken on a live call. Or, you can use the data to rate and reward employees based on the frequency in which they use certain verbiage. Take a moment to dig into the settings of your call automation software! There may be features you’re not taking advantage of that could help ensure a quality exchange between your agents and your callers. Which call management and reporting tools do you see bringing the biggest positive changes to your clients? One of the first things I recommend to a new client here is to start using our Activity Reports, which can provide a global view of your performance from various angles. You’re actually able to assess both how you’re generating traffic, and how you’re responding to it, because it provides details like talk time, hold time, conversion amounts, etc., from all sectors of your organizations. This data can also be used to measure how your marketing campaigns are performing, and which ones generate the most ROI. Another great dashboard within our software is the Realtime Agents report. In a glance, this page can give a team leader a centralized view of all of their agent activity, and individual employee disposition throughout a specified time period. 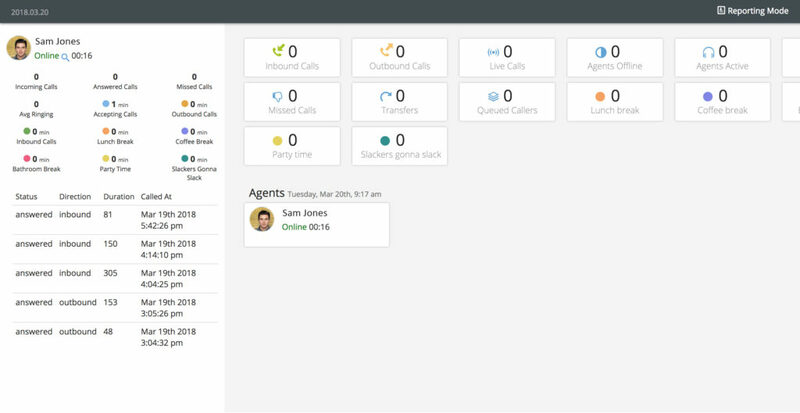 If you are fully staffed, yet you still see missed calls, check your Realtime Agents report to view how many agents are actually available and handling calls. A larger organization might want to use our Agency Dashboard to quickly view service levels of their individual accounts, and gauge if changes are needed to better direct results. This data can reveal whether your high dollar accounts are getting the resources they need relative to your other, lower-volume accounts. During the early days of AOL, I grew their first call center team by 2,000%. Even then, I learned that simply hiring more people to handle higher call volume is a short term and often ineffective solution. I would have killed for the tools that are available today in cloud call management platforms. If you’re not utilizing this technology, it’s time to get started!